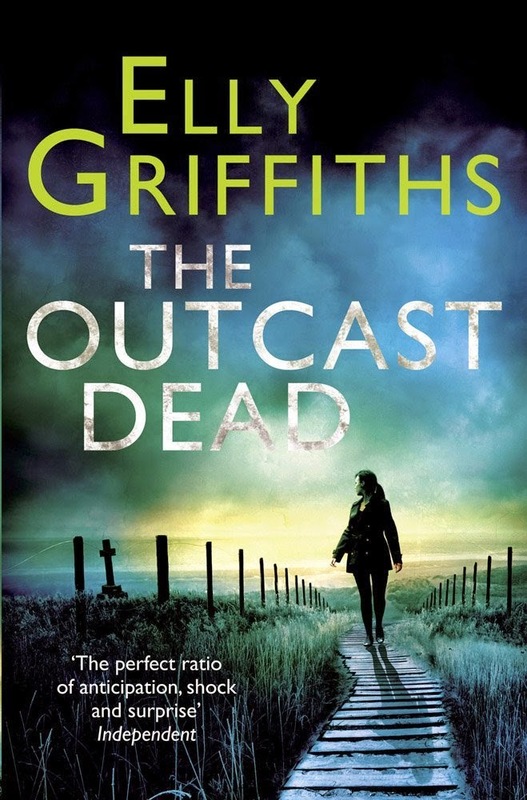 I'm not going to write too much about this book, because regular readers of this blog (I'm joking of course; there are none) will already know that I have read all the other books in Elly Griffiths' Ruth Galloway series and have reviewed them here. If you're interested, they are The Crossing Places, The Janus Stone, The House at Sea's End, A Room Full of Bones and Dying Fall. I'm not going to pretend that these books are gritty, realistic crime thrillers. The Outcast Dead, like the previous instalments in the series, has a somewhat crazy plot, and the familiar cast of characters we've been introduced to in previous novels - notably Ruth herself, who despite an ever-expanding group of friends acquired in the other books is still fundamentally a loner, and Harry Nelson, gruff policeman and father to Ruth's toddler daughter despite his happy marriage to Michelle. The core of the plot of The Outcast Dead involves an archaeological mystery, this time the discovery of a skeleton that may or may not be that of a notorious Victorian 'baby-farmer' with a hook for a hand, but as usual, this becomes inextricably linked with a present-day crime, also involving small children. It's a great page-turner, as you would expect, and the historical plot absolutely fascinated me in its own right. Furthermore, there's a subplot involving the personal lives of some of the supporting characters which pleased me no end, as I was never happy with its lack of resolution in the previous book. The Outcast Dead is really a case of 'more of the same' - but I absolutely don't mean that to be a bad thing. This is the sort of series where each book feels like time spent with old friends, and that's one of the reasons I enjoy them. Overall, this a fun, hard-to-put-down instalment in a great, light crime series full of well-rounded, memorable characters and Griffiths' entertaining brand of dry, observant humour.